How can you know if a lyft or uber driver is available in an area? Download chosen rideshare app from the app store. Enter your email address, phone number, and credit or debit card information. You will not be charged until after you have taken your first ride. Be sure to enable location services when the option appears, as this will allow for more accurate GPS capabilities when requesting a ride. Once you have completed account creation, you are ready to take your first ride. You will need to set your pickup location; an address will be auto-populated based on your GPS location but double check to make sure that it is accurate. You can input an address manually if it is incorrect or move the blue pin on the map to your exact location. Next, you will need to choose which level of service you want. For most apps, you are able to choose different types of services based on vehicle type, size, and cost. 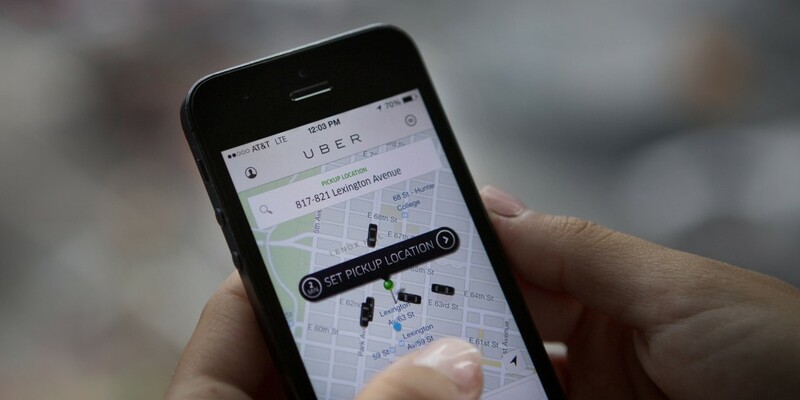 For example, Uber offers several options including: low-cost uberX, larger-vehicle uberXL, and premium Black Car. Once you submit your request, a nearby driver is notified of your pickup location. A time estimate will be provided and you will be able to watch your driver arrive utilizing their GPS location. All details surrounding your driver and ride will be provided, including: driver photo, contact information, vehicle make, and license plate number. Input the address of your final destination while you wait for your ride to arrive. This will save time and provide a route ahead of time. Locate your ride and hop in the vehicle. The GPS will provide the driver with a route, but you are able to suggest a better way if you wish to. Once you arrive at your destination, simply exit the vehicle. You do not need to pay the driver or tip; cost will be taken out of your debit or credit card automatically. Expect to receive a receipt via email with a breakdown of the ride, including fare and route explanation. You will be prompted to rate your driver after each ride for most rideshare services. If you had a bad experience, you can express this using the star rating system and also by writing a note to the company. Most companies take complaints very seriously and will respond quickly to any negative feedback. Am I supposed to tip Rideshare Drivers? How to Schedule Uber Rides in Advance. Calculate the Price of Your Uber. For further information on Rideshares visit out Rideshare 101 page or go Ask a Ride Guru.